Brianna Aguilar joined Montecito Bank & Trust in 2009 and is currently an Executive Assistant & Financial Literacy Coordinator. As the Bank’s Financial Literacy Coordinator she is in charge of outreach, training, and curriculum development. She works to create partnerships between schools, families and nonprofits to provide financial literacy to students and families in Santa Barbara and Ventura County. In addition to the administrative support she provides to the Bank’s Chief Innovation Officer and General Counsel, she assists with the Bank’s Social Media and other community development activities. Prior to joining Montecito Bank & Trust Ms. Aguilar worked in different levels of the education sector including serving as the Assistant Director of TRiO Support Services Program at the University of California, San Diego. Her main focus was to address issues of equity and access to higher education. Ms. Aguilar received her BA in Social Welfare from the University of California, Berkeley, her MA in Education with an emphasis in Cross-Cultural Counseling at San Diego State University and is currently on leave from the PhD program at Gevirtz Graduate School of Education at the University of California, Santa Barbara. Ms. Aguilar was born and raised in Santa Barbara and was excited to get involved in the community that helped to raise her when she returned in 2008. She is a Katherine Harvey Fellows Alumni (2015-16) and received the Community Impact Individual of the Year for the United Way of Santa Barbara County in 2012. Ms. Aguilar is an active participant in nonprofits and schools in Santa Barbara and Ventura. She serves as Vice-President of the Board of Directors of Adelante Charter School, is on the Alumni Advisory Committee for the Scholarship Foundation of Santa Barbara, an active volunteer with Partners in Education and an advisor to the Dons Net Café at SBHS. 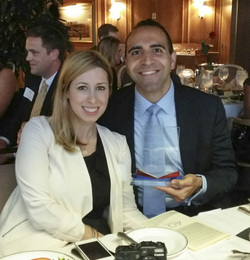 United Way of Santa Barbara County was pleased to honor David Duarte as the Young Leader of the Year at the Pacific Coast Business Times 40 under 40 awards dinner. David, CPA, serves on the Executive Committee of the Young Leaders Society (YLS) and has volunteered more than 300 hours of his time to United Way programs, including Fun in the Sun, Day of Caring and United We REad. David continues to be instrumental in the growth of YLS and his dedication to the betterment of our community is unparalleled. 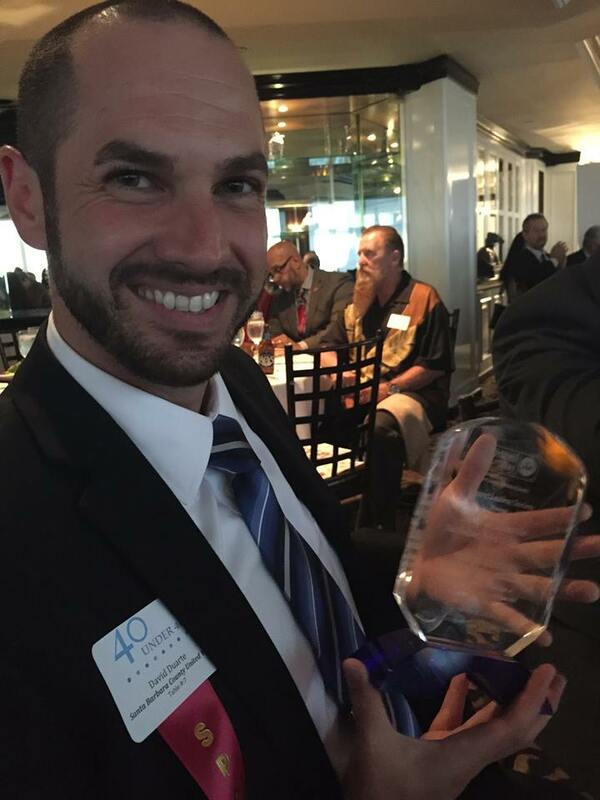 Sarkes Khachek was honored on October 20th, 2014 as the 7th annual Young Leader of the Year at the “40 under 40” award dinner hosted by Pacific Coast Business Times for excelling in his line of business, philanthropic activities and involvement with United Way. Khachek is a Senior Transportation Planner with the Santa Barbara County Association of Governments (SBCAG). As a Transportation Planner in SBCAG’s Programming and Project Delivery Division, he assists local jurisdictions, transit operators, and project sponsors with identifying and securing funds to deliver critical transportation projects that improve the quality of life in Santa Barbara County. Khachek serves as a project manager and specializes in local, state, and federal funding programs such as Santa Barbara County’s Transportation Sales Tax program, also known as Measure A. He also serves as a liaison to the California Transportation Commission and Regional Transportation Planning Agencies. Khachek holds a bachelor’s degree in Architecture from the University of California, Berkeley. He currently serves as the Chair of United Way’s Young Leaders Society Executive Committee and has been key in launching new volunteer activities such as “United we Read”. United We Read matches young professionals with K-6 classrooms at local elementary schools to read books aloud and inspire children to read on their own. The books are then donated to the school. Each year, the schools also receives a check to purchase books and reading supplies. Alex Koper started with BAC six years ago after coming from a major competitor. In that six years Alex has worked in three different lines of business within the bank, GWIM, Banking Center Channel, and Home Loans. Alex holds a Bachelors of Science in Financial Management from Cal Poly San Luis Obispo. Alex currently is a Home Loans Manager for the Los Angeles West Region and manages a team that serves clients across Los Angeles. Alex has responsibility also for loan origination goals in 26 banking centers. Alex’s team drives over $1mm in net income per month for BAC. Alex has a passion for volunteerism and community, and currently serves as the Co-Chair for BAC Community Volunteers for San Luis Obispo, Santa Barbara and Ventura counties. Alex’s CV team has consistently logged over 25k+ volunteer hours/year in local markets – consistently exceeding the company’s goal. Alex serves on the executive committee for United Way Young Leader’s Society in Santa Barbara. Alex and his wife, Amanda, love living in Santa Barbara and giving back to their local community. They are expecting their first child, a baby boy, in September 2013. Kelly is a Certified Public Accountant at MacFarlane Faletti & Co, LLC. She works primarily in individual, non-profit, partnership and corporate taxation, as well as planning, audits and accounting. Her previous experience includes senior staff accounting positions in both public firms and private industry. Kelly became a licensed Certified Public Accountant in 2007 and is a member of the American Institute of Certified Public Accountants, the American Society of Women Accountants and the California Society of Certified Public Accountants. Kelly joined the United Way Young Leader Society at their first meeting in 2008. She has been involved in many of their activities and volunteer opportunities such as: Career Mentorship, Day of Caring, and Fun in the Sun. 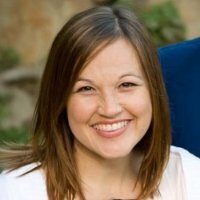 Since graduating from UC Santa Barbara in 2004, Kelly has actively supported Kiva and the Red Cross. She has also volunteered and worked with numerous local non-profits. Most recently, Kelly was the 2010 and 2011 Chair of the American Society of Women Accountants Scholarship Committee. This scholarship provides resources to help future business and accounting students in Santa Barbara County. 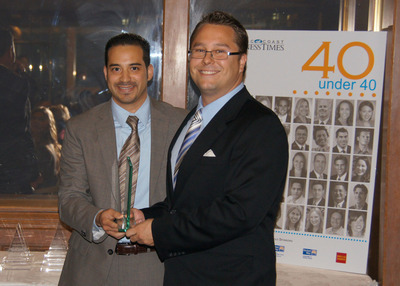 Erik Scheer won the 2011 Leader of the Year award and was honored at this year's Pacific Coast Business Times' "40 under 40" award dinner. Erik is an Enterprise Instructor in the Learning & Development Department for Santa Barbara Bank & Trust. He coordinates and delivers various training programs within the Bank, including New Hire Training for Tellers and New Accounts Specialists. Erik graduated from UCSB with a degree in Business Economics. He is an active member within the Young Leader Society of Santa Barbara County, volunteering at many of the events throughout the year, including United We Bowl, United We Read and Day of the Child/Day of the Book. In addition he has volunteered time with the Santa Ynez Band of Chumash Indians, working with the Education Director to hold Financial Literacy workshops. Lee Foster, our Leader of the Year is also this year's Pacific Coast Business Times recipient of the "40 under 40" award. 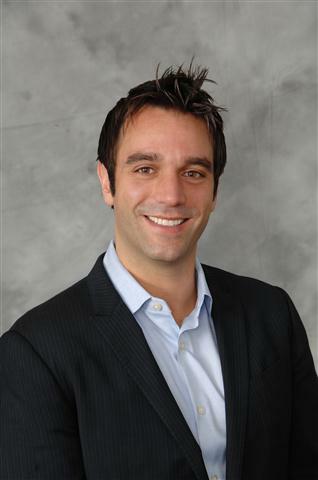 Lee is the Vice President and Metrics Manager with Pacific Capital Bancorp. In his role, Lee is tasked with reporting, analysis and modeling tasks. Lee recently finished his second year at Pacific Coast Banking School in Seattle, Washington. He has been a very active member of United Way Santa Barbara County. He is a member of the United Way's President Circle and a repeat volunteer for United Way's Day of Caring and Fun in the Sun programs. Lee is also an active member and volunteer with the Young Leader Society of Santa Barbara County, Food Bank, Reading for the Blind and Dislexic, and the Leukemia and Lymphoma Society. 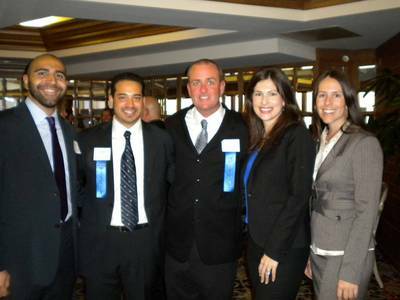 Jennifer Parkes, was honored as the 2009 Young Leader of the Year at Pacific Coast Business Times "40 Under 40" Dinner. Jennifer Parkes is a land technician in the exploration department at Venoco, Inc. in Carpinteria. She is a second year member of the Venoco Community Partnership Committee, which is responsible for researching non-profit grant requests, making site visits, and advocating for nonprofit interests. Jennifer is also an annual volunteer for United Way's Fun in the Sun Summer Enrichment Program and Day of Caring, the largest single-day volunteer event in the tri-counties. She is an active member and volunteer with the Young Leaders Society of Santa Barbara County, Partners in Education Volunteer Program, and Fighting Back Mentor Program. Jennifer Muench was presented as the first Young Leader of the Year during the Pacific Coast Business Times 40 Under 40 Dinner. Jennifer has excelled as an employee of Cox Communications, and she is involved in a variety of philanthropic organizations including United Way. In her role as the Community Relations Manager, she manages Cox Communications community involvement to ensure a positive company image.